Contact kristen@plazadistrict.org for more info! Plaza District Open House & Membership Kickoff! During LIVE on the Plaza, Friday December 10th the Plaza District will be hosting an open house reception for our new office and membership kickoff party. 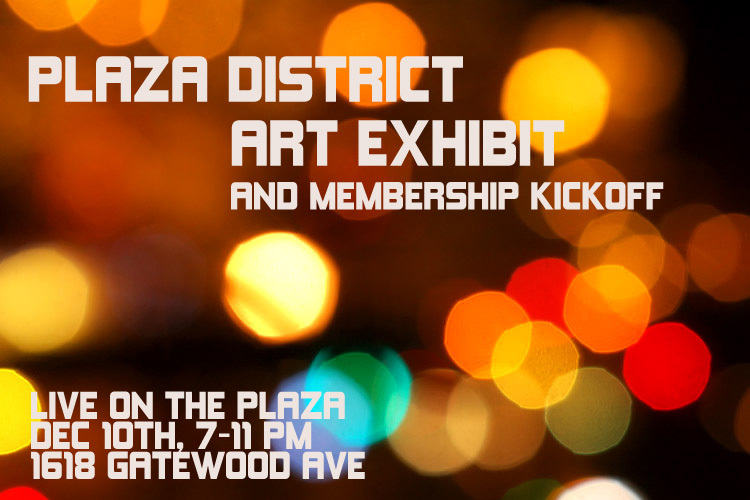 Come view work from Plaza District business owners, employees and artists in our recently renovated space! Give the gift of the Plaza District! Membership includes t-shirts, gear, events and more! Black Friday in the Plaza! We just have to admit it…it’s that time. Holiday shopping is in full swing! To kick off the holiday shopping season, the Plaza District is asking you to Shop Local, Black Friday. Skip the madness, skip the crazy crowds and enjoy a relaxed, fun and community oriented day after Thanksgiving. 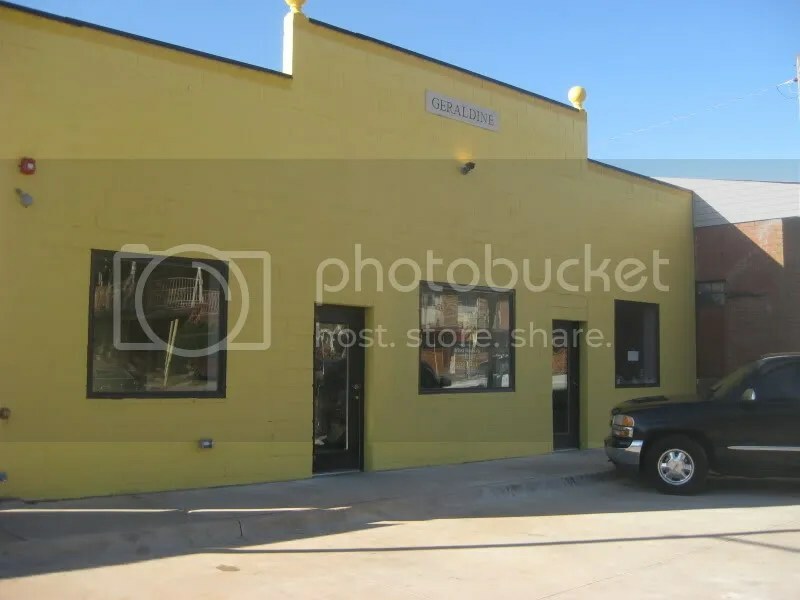 Drive through the historic neighborhoods of Oklahoma City, enjoying the last of fall colors and the greatness of the quirky little commercial district on 16th street. Come home with great gifts and a sense of pride for supporting local businesses on Black Friday! Warpaint Clothing Co: open 10 am. Buy three tee’s get one free and half price on all vintage tee’s . The Plaza District Association officially came into being in 1997. 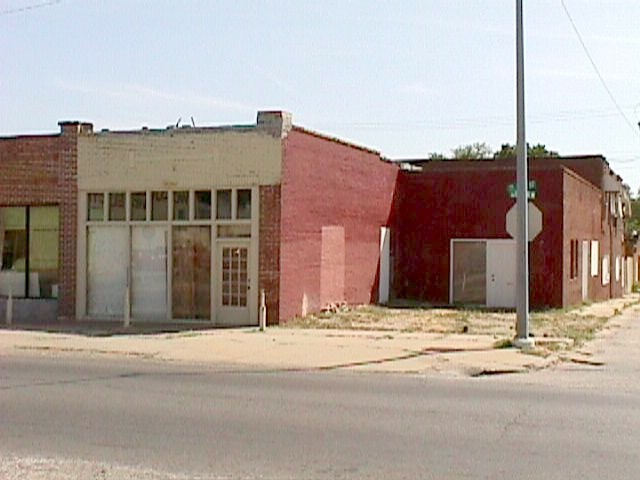 Back then, it was a passionate group of residents and visionaries who saw the need and the possibilities of a run down strip of commercial buildings. And run down is probably an understatement. In 1997, I was in the 7th grade. 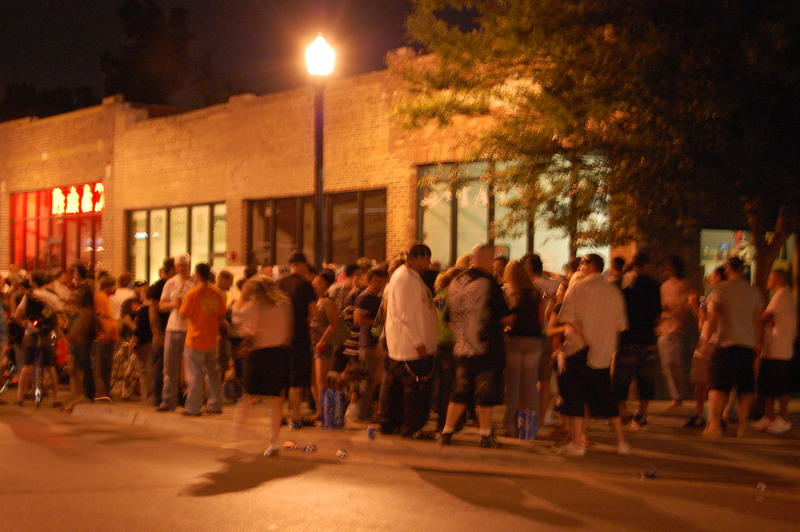 In 1997, most of the Plaza District business owners were in junior high or high school. It’s pretty amazing to see what our “generation” has accomplished here because of the foundation that was laid by a generation of Plaza District visionaries before us. LIVE on the Plaza, November 12th! Welcome fall, a time for beards to grow, bonfires to warm and ciders to taste! Give thanks for your local creative district this fall at LIVE on the Plaza! Although it’s time to start thinking holiday shopping, we want the Plaza District to be a place that is unique from all the over-saturated commercialism of the holidays. So, by all means keep those gifts in mind as you stroll– but this month, remember to be thankful for our local community! So enjoy the flannel, enjoy the beards, warm up with freshly knit scarves and all of the fall goodness in the Plaza District! We are thrilled to celebrate our local talent, so join us in being thankful for our community of local artists! @1614 and Midwest Media & Marketing is pleased to host artist Michael Kirby. View this short film produced by Midwest Media about the artist and his work. View his work and the film @1614 during LIVE. DNA Galleries host works by artist Marcus Eakers. His work is filled with dreamlike imagery created with a wide and saturated color palette. DNA Galleries also features many new fall clothing and accessories! Collected Thread will host an open house and installation work by Lauren Miller. Coffy’s Café is hosting an open mic night, plus stop in for gluten-free treats or tasty drinks, and feel free to use the array of instruments provided in-store for the public to enjoy. Visit Curiouser & Curiouser and Bad Granny’s Bazaar for gifts and funky finds, and then stroll over to PhotoArt Studios for an open house. No Regrets Tattoo will host live music by Brandon Isaaks, as well as fall grilling for you’re taste buds. Warpaint Clothing host local artist Lindsey Oleck and her collection of paintings called “Inspired by Native”. Paula & Company Realtors host Local Teaching Artists Exhibit with featured artist Tam Nguyen of Linwood Elementary. As always Paula & Co karaoke will start around 8:30. Last but not least, be sure to visit Istvan Gallery before after your stroll through LIVE on the Plaza. Istvan Gallery will host Edmond artist Kolbe Roper. Roper is a mixed media artist who uses techniques such as weaving and printmaking alongside sculpture castings and painting. He characterizes his work as blurring both artistic and gender boundaries. It is also Istvan’s three-year anniversary, so be sure to celebrate their important contribution to the Oklahoma City art community over the last three years.